Joker is an upcoming American psychological thriller film distributed by Warner Bros. Pictures and based on the DC Comics character Joker. It is intended to be the first in a series of DC-based films separate from the DC Extended Universe (DCEU). 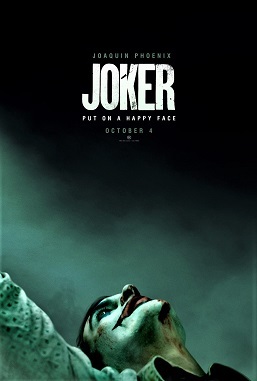 The film is directed by Todd Phillips from a screenplay co-written with Scott Silver, and stars Joaquin Phoenix as the Joker, alongside Robert De Niro, Zazie Beetz, Bill Camp, Frances Conroy, Brett Cullen, Glenn Fleshler, Douglas Hodge, Marc Maron, Josh Pais, Shea Whigham, and Brian Tyree Henry. Set in 1981, Joker follows Arthur Fleck, a failed stand-up comedian who is driven insane and turns to a life of crime and chaos in Gotham City.